Third term classes started at Joy Bible Institute on August 14, 2007. We had only been in the country a week and Lori was recovering from her bout with dengue fever but what a joy to be back in the classroom teaching young men and women! Lori started teaching in Bislama, a language she has not spoken in almost 30 years. Gary is teaching his classes in English. 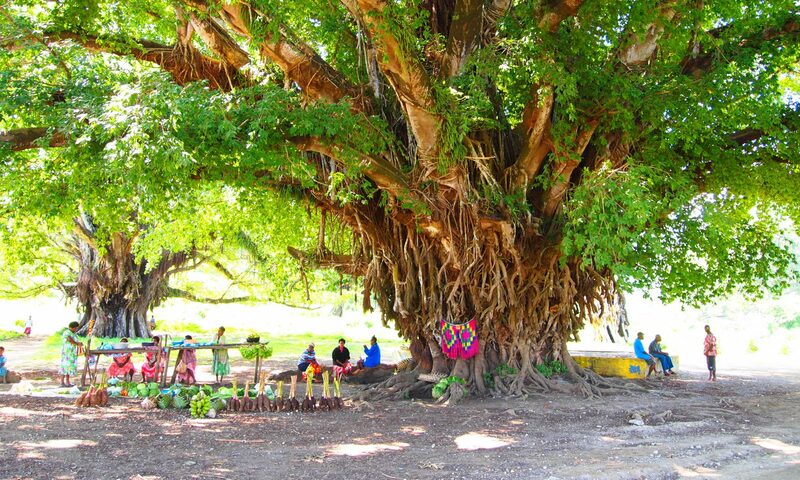 Vanuatu is a country of many languages. There are three official languages, Bislama, English and French. There are also 115 vernacular languages for a population of just over 200,000 people. 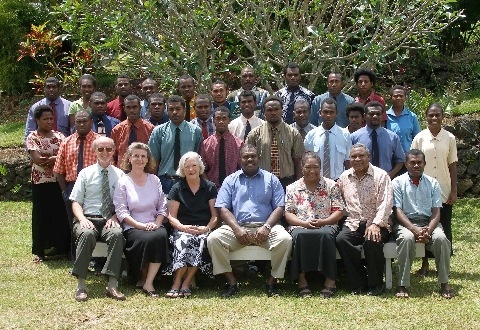 Here is the official photo of the JBI faculty and students. Seated on the front row, (left to right) J. Gary Ellison, Lori Ellison, Kay Rudd, Principal Edgell Iolopua, Agnes Fave, Emmanuel Fave and Philip Naias. Second row is the graduating class. Third row is the second year students and the back row is the first year students.